Whitmer thanked MEA leaders and members who made phone calls, knocked doors, posted on social media, and talked to friends and family to help her win election. But she noted that was only the beginning of the work that must be done. “When I introduce this budget, every one of us has to put our back into it,” she said. Despite historic gains by Democrats and women in the midterm election last November, “We still have gerrymandering in Michigan so I still have a Republican-controlled Legislature to work with,” she said. 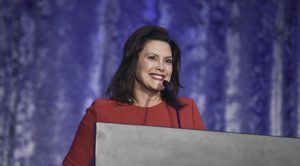 Whitmer’s appearance marked a high note of a two-day conference that is MEA’s biggest event of the year, featuring the latest news and information about bargaining, legal issues, legislative action, union organizing, professional issues, social justice, and more. Andrea Wells, a paraeducator from Eaton Rapids, attended her first Winter Conference with the encouragement of her bargaining unit’s leaders who are preparing her to replace them when they retire in the next two years. High school art teacher Jenny Niesen said she attended mostly communications training sessions at the conference to boost her work as secretary of the Galesburg-Augusta Education Association. Math teacher Matt Perry attended an MEA conference for the first time to learn what he can do to strengthen Westwood Education Association in Dearborn Heights. He became the local’s treasurer last year. “Morale is not high, so I’m looking at ways that the local union can do something about that,” he said, adding that he “absolutely” wants to go to more conferences in the future. Local associations have an important role to play in building cohesion to fortify the work of advocating for our schools, our profession, and our students, said MEA Vice President Chandra Madafferi, who addressed the conference attendees on Friday. “There is opportunity ahead of us, but we have hard work to do together by organizing and ensuring the combined strength of all Michigan school employees can make it happen,” Madafferi said. 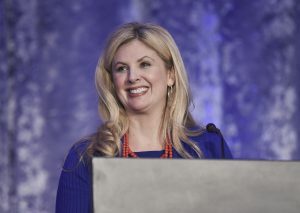 When MEA leaders and members across the state stand together giving voice to what is right for students and communities, others want to be a part of that “magical” avenue of advocacy, she said.